In the production of specialty steels such as stainless, tool, and spring steels, alloying elements are usually added to the molten bath in combination with iron as the dominant metal. These are known as Ferro-alloys and include ferro-nickel, ferro-manganese, ferro-chromium, ferro-molybdenum, ferro-titanium, ferro-vanadium, ferro-silicon, ferro-boron, and ferro-phosphorus. The advantage of using in this form is that ferro-alloys have lower melting points than the alloy elements and are easier to absorb into the melt. Ferro-alloys are brittle and unsuitable for direct use in fabricating products, but they are the most useful sources of these elements for alloy steelmaking. Ferro-alloys are made by charging the non-ferrous metal or concentrate with iron or iron ore, coke or coal, and fluxes, and smelted at high temperature in electric-arc furnaces. Aluminum or silicon is sometimes used as reductant in the process depending on the particular alloy being produced, such as Ferro-chrome. For the production of pure chromium the iron has to be separated from the chromium in a two stage roasting and leaching process Ferro-alloys are brittle and unsuitable for direct use in fabrication, South Africa, Kazakhstan, India, Turkey, and Russia are the world’s largest producers of ferro-alloys. Ferro-chrome is one of the most important ferro-alloys and is produced from chromite, an iron chromium oxide, FeCr2O4. Chromite is important because it is the only economic ore of chromium, an essential element for a wide variety of chemical and manufactured products and the aforementioned ferro-alloy. Mineral sands formed from weathered chromite ores, and being well liberated the chromite is recovered easily by gravity beneficiation methods. Podiform metamorphic deposits, where the chromite is disseminated through the rock and needs to be liberated by crushing and grinding before recovery by gravity beneficiation methods. If the ore is amenable to pre-concentration this should be included in the process flowsheet. Most of the chromite concentrate produced is of metallurgical grade with Cr2O3 averaging 54% and a chrome to iron ratio of 2.6:1. This type of ore is often amenable to pre-concentration at coarse sizes to reject a portion of the crushed ore between the crushing and grinding circuits as a barren fraction, and the ore mineralogy is carefully studied in the ore characterisation test work which should include assessment of amenability to pre-concentration. The practical mineral dressing options to achieve a separation using the properties of minerals are size, specific gravity, density, magnetic susceptibility, conductivity, colour, floatability and solubility. Ore Sorting Sensors can be selected to make use of a number of these properties and applied to determine pre-concentration potential which can reduce CAPEX and OPEX, of all downstream processes, due to reduced power, water, consumables, and maintenance. STEINERT is constantly inventing, researching and developing in the pursuit of the future in separation and sorting technologies. View our range of available options from NIR, Induction, X-ray, 3D laser to varying combinations of these technologies which help combat these issues in the pre-concentration of ore sorting. 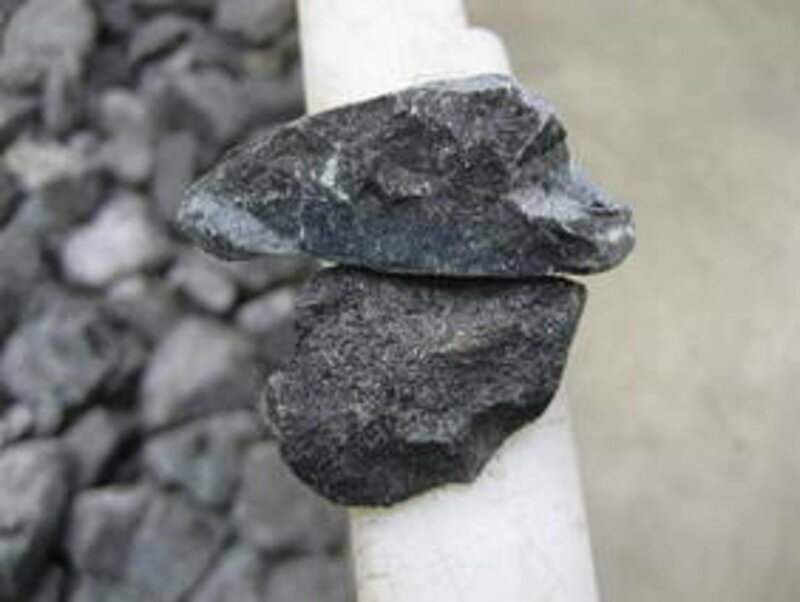 STEP 1 Determine which type of sensor will differentiate most effectively between the reject ore and the target material. STEP 2 Determine whether effective upgrading and separation can be achieved in the desired size range using the type of sensor selected. STEP 3 Determine the maximum feed capacity without compromising on separation/upgrading efficiency.